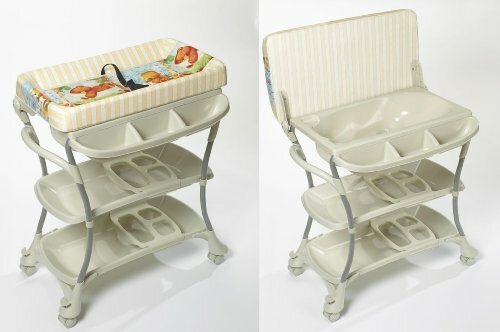 The Primo Euro Spa and Combination Changing Table is Perfect, when Space is an Issue. Or if you are just Looking for Convenience. The Euro Spa comes complete with Locking Safety Wheels. The Euro Spa Bath Offers a 2 Position Baby Bath. For infants 0-24 Months. The Euro Spa comes complete with a Vinyl Changing Pad, and Safety Strap. We have included 3 Large Adjustable Accessory Trays. Easy to Assemble. If you have any questions about this product by Primo, contact us by completing and submitting the form below. If you are looking for a specif part number, please include it with your message.